It’s not a secret that I love Thermapen’s products. They are reliable, accurate and really slick looking. That said, I get a lot of questions about other brands and whether they are worth purchasing. 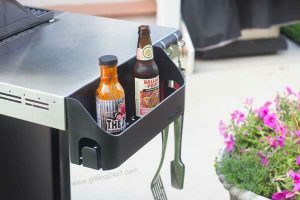 I decided to take a look at two other brands of thermometers and see how they compare to the Thermoworks Thermapen products in this grilling thermometer review. First up is the “ThermoPro” TP03A Instant Thermometer. It’s an instant read thermometer from ThermoPro that is 4-7 second instant read grilling thermometer. At first touch this thermometer feels a bit on the cheap side. Light plastic and the design isn’t very sleek. However, after using it in my ice bath test, warm water bath test and then using it for grilling some chicken that night I have to say that I am very impressed with it. For a grilling thermometer that is only $12.99 on Amazon, it works really well. The temperature it reported seemed very accurate and it read rather quickly. Did I mention it’s $12.99? That’s 1/13 as much as the beloved Thermapen MK4. Is the ThermoPro instant read thermometer equivalent to the Thermapen MK4? No. You get what you pay for. However, I have been using the ThermoPro for a few weeks now and it has held up pretty well. It’s not waterproof like the Thermapen MK4 but I usually don’t dunk my thermometers in water and I am very careful with them. It has done a really good job and I have been using it almost daily for a few weeks. Will it last for 5 years or so like my Thermapen? I’m not so sure. But I do know that if you are on a budget, you can buy 3 of these ThermoPro thermometers and still save a fortune, compared to the MK4. If you are doing professional BBQ competitions, you’ll know that you should stick with the Thermapen. But if you are grilling outside a few times a month, just get the ThermoPro TP03A. You will be surprised at how well it works for only $12.99. When you think of Char-Broil you think of grills, not gadgets. However, they came out with a rather nice instant read grilling thermometer. It isn’t marketed with a specific speed for reading but for my tests I noticed that it gives a reading in about 4-5 seconds. It also has a temperature alert feature where it will beep when a certain temperature is reached. This is rather ridiculous as it is an instant read thermometer. It isn’t for leaving in meat and then letting the alert notify you when the meat is done. It literally will beep when your chicken, for example, reaches 165F. Obviously you can just see that number and know its finished. As you’ll see in the video below, the alarm became quite annoying just trying to read the water temperature since it went off on me. It’s only $18 on Amazon, so even if you give it a try you won’t be set back too far. Other than the alarm, it’s a reasonable low end thermometer. I’m sure you can just turn the alarm off or set it really far away from what you want to read. The high end winner for instant read grilling thermometers is obviously the Thermapen MK4. However, if you don’t feel like tossing out $100 for a grilling thermometer then I think the ThermoPro TP03A instant read grilling thermometer is the way to go. I compare all three thermometers in this video below. When watching just pay attention to how fast they all read. All three report temperatures in a very reasonable amount of time. When I first tested out the Thermapen Smoke I thought it was the coolest thing ever (I still do). If you aren’t familiar, it’s a thermometer base unit that wirelessly transmits the temperature to a portable device that you can carry with you around the house. Imagine watching a game inside while your BBQ cooks outside in the cold. It’s brilliant. This ThermoPro dual probe wireless thermometer is a direct competitor to the Thermapen Smoke, which I reviewed on this youtube video. The ThermoPro TP20 sells for about $60 on Amazon, which is about half as much as the Smoke. To be honest, it works really well. I tested for two long smokes and it never disconnected once. The alarm worked well and the temperatures that it reported seemed accurate and reasonable for the smoking conditions I used. 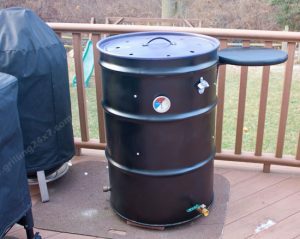 It comes with a grate holder so one of the probes can be secured to the grate, reporting the actual BBQ smoker temperature, while the other can be put inside the meat to let you know when it’s completed. There are temperature alarms and a timer. I think this is a pretty high quality unit for only $60. Does it compare to the Thermapen Smoke? I’d say again that you get what you pay for. It’s about half the price and the quality feels just a little cheaper than the Smoke. That said, if you aren’t using it for professional purposes and you want to save a few bucks, you’ll be just fine with the ThermoPro TP20. It works. Are cheap BBQ thermometers worth it? I think it depends on your goal. If you want something cheap to get the job done then I recommend the ThermoPro units. If this is a gift and you have $100 to spend, then by all means grab the ThermoWorks Thermapen or Smoke units. I’ve used Thermapen products for years and they never let you down. However, after using the ThermoPro units, I’m willing to say that if I was on a budget, I would be using their grilling thermometers much more often! Questions or comments on this grilling thermometer review? Let me know what you think. Disclaimer: Above, I have some affiliate links in this grilling thermometer review sending you to Amazon.com and Thermapen’s website. If you purchase a thermometer through those links I get a small commission.